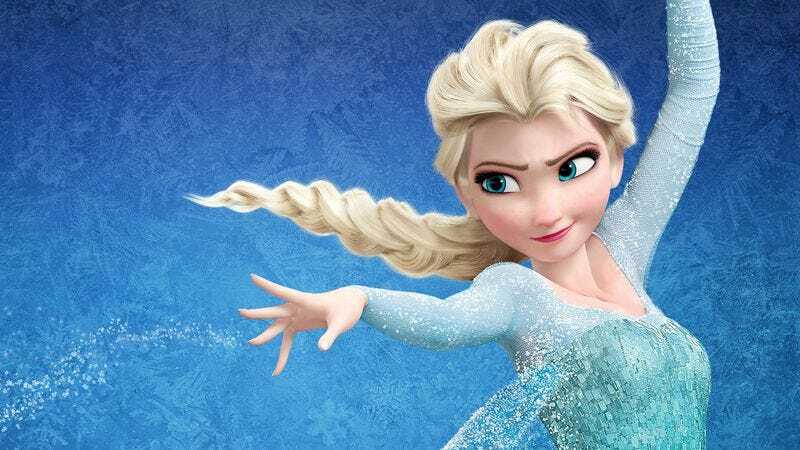 With Frozen’s sing-along version hitting theaters January 31—and the real world's weather keeping the film’s “the cold never bothered me anyway” mantra alive—The A.V. Club has decided to round up the best Internet covers of Frozen’s catchy soundtrack. While Idina Menzel’s version of “Let It Go” is still the highwater mark for emotive belting, plenty of people have tried to one-up the film either by being more adorable, more hilarious, or more sincere. Here are the best covers out there. The “Official” Baby Version Feat. Ella gets points simply for starting off the trend (and reminding us how cute it is when kids can’t quite pronounce their words), while the cover by 4-year-old twins Maddie and Zoe offers up the same mispronunciations alongside adorable footage of the two girls recording the song. Meanwhile, an insanely talented 9-year-old named Annelise proves that kids don’t need to be horribly off-key to be charming. The “honest” (and explicit) version of “Let It Go” captures the song's real meaning, as does an alto protesting Disney's obsession with high-notes. Meanwhile, the cover by Mr. Freeze is both hilarious and oddly haunting. And while “Let It Go” is clearly the breakout song of the film, there's also a terrifying horror movie remix of “Do You Want To Build A Snowman.” Internet duo Superfruit teamed up with Penatatonix’s Kirstie Maldonado for a gender-bending “Frozen Medley,” and one fan-written reprise is so good that it probably should have been in the film. The best covers, however, aren’t afraid to go sentimental and find some real heart in the material. One such version makes it clear that power ballads know no cultural barriers as it highlights the song in 25 different languages, including Mandarin, Flemish, and Catalan. Blowing them all away, however, is a cover that doesn’t even need lyrics. Instead it lets a piano, violin, viola, and two real-life siblings capture the film’s emotional arc perfectly.